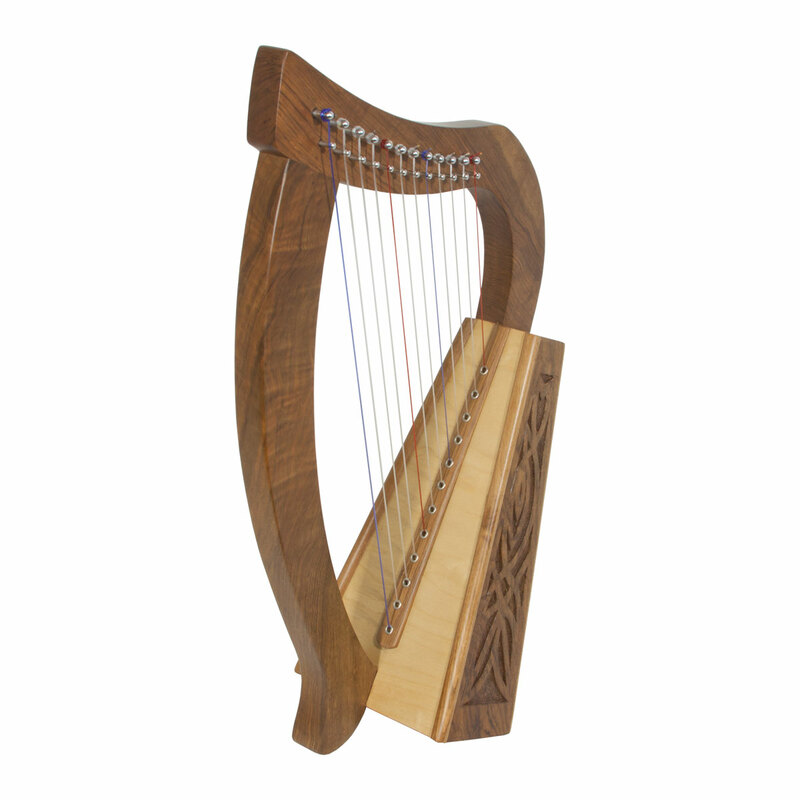 Roosebeck 21 Inch Baby Harp 12 String Walnut Knotwork + String Set & Tuning Tool. Approximately 21" high. Featuring 12 DuPont hard nylon strings, a range from F above Middle C to High C, no sharpening levers and has an hand carved Irish knotwork walnut frame. A tuning tool and an extra string set are included. Instruction book sold separately..